Last week Zest Application Professionals, partner of OutSystems, participated in myNextStep Benelux 2013, a user conference that took place in Chassé Theater in Breda. Read on to find out what I took away from the event. You may already know that the biggest value of productivity platforms like OutSystems lies rather in reduction of TCO than in savings on the initial application development (although depending on the application, the platform shines there as well). Mike Jones, Chief Evangelist at OutSystems, opened the event with a presentation covering this value, but from a fresh perspective – innovation. 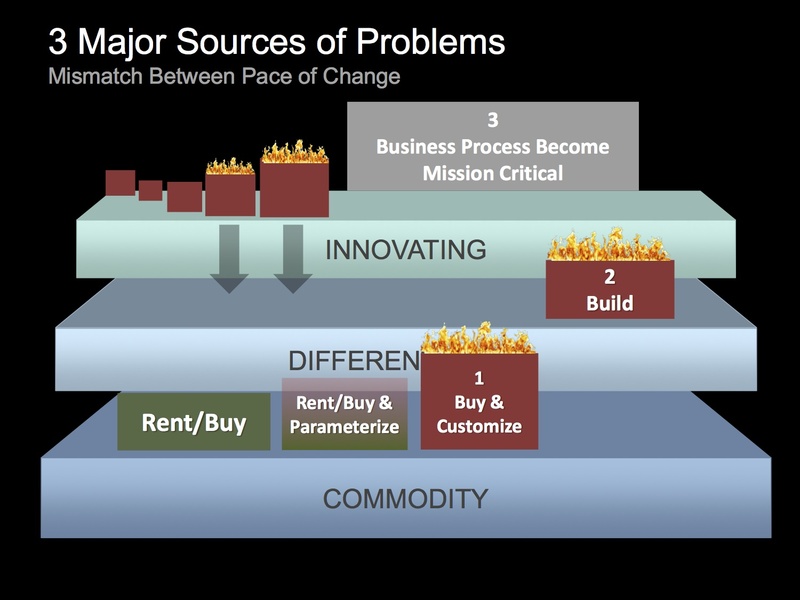 This perspective matters because innovation is often associated with a company’s capability to adapt to business demand for change. The presenter argued that innovating and differentiating applications (in other words applications that are specific to the business and experimental in nature) are in fact the right applications for the productivity platform. More importantly, Mike continued that should packages for these applications be traditionally built, customised or bought, their high TCO over years would eventually deplete budgets allocated for development and maintenance of the application portfolio, thus leaving no room for further innovation. 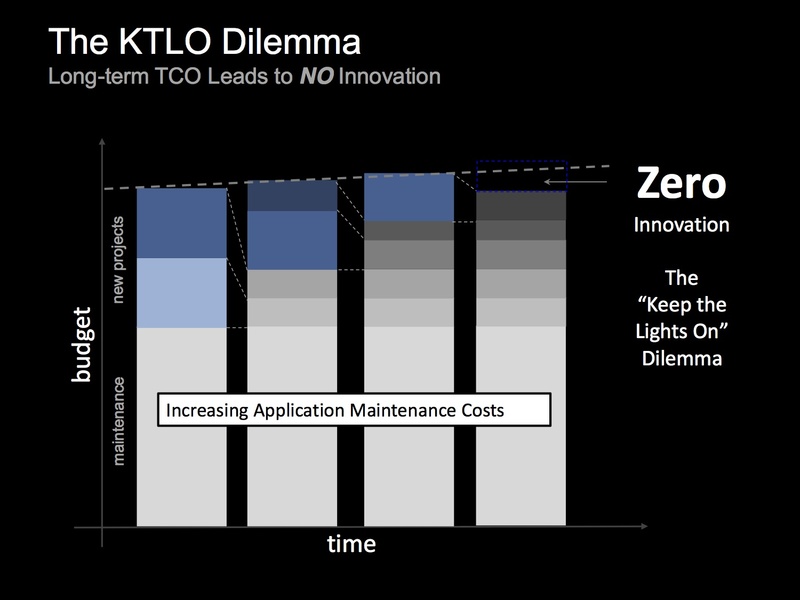 The core cause for inflated TCO is on one hand – rigidity of commodity applications and on the other – inherently high change frequency of innovation and differentiating processes. The presenter pointed that OutSystems platform enables building for change and thus drives TCO down. Mike concluded that OutSystems allows businesses to fund innovation though reduced development and maintenance costs. Business satisfaction is top when delivering a high usability application. An interesting side effect is that building high usability applications would require more frequent application reviews by end users. In effect, the (less agile) projects may need to adapt to the higher frequency of interaction with business and the need to develop for change would be even more emphasized. How this awareness will shape the platform is still unclear at this time. Perhaps more information will be revealed at the upcoming OutSystems conference in Lissabon on May 7 & 8, 2013. 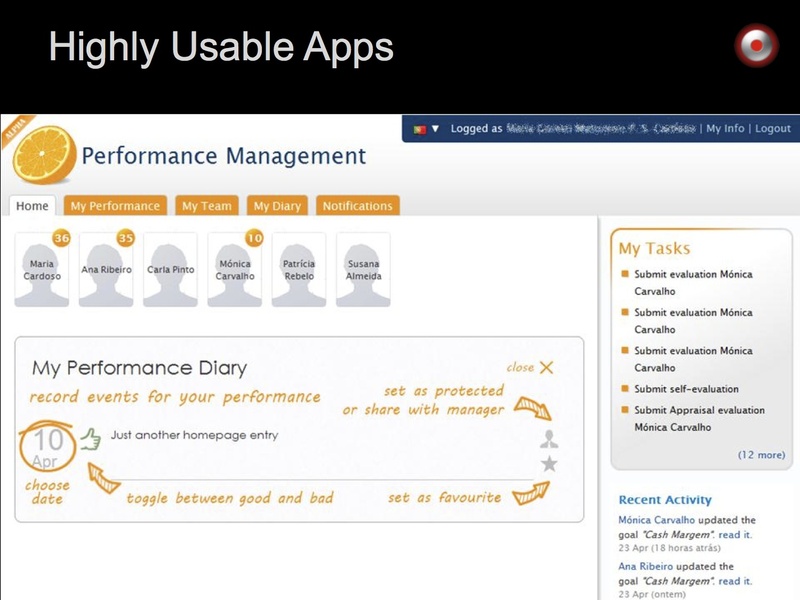 Nevertheless, usability of applications can be improved already now with the today’s platform. In a followup track OutSystems shared some design principles and showed how to apply them on the current platform. The resulting screens looked promising – certainly more clean and modern than what I am used to see typically built. 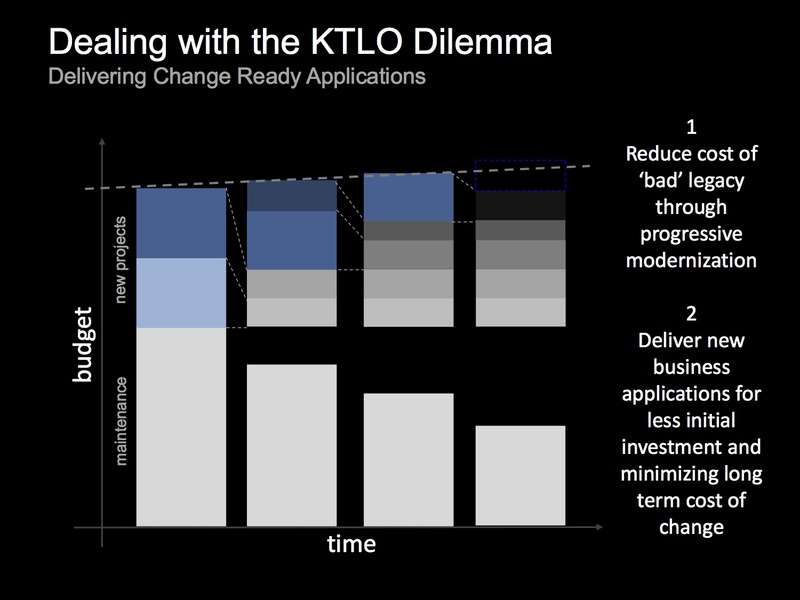 Built for change is an essential capability of “agile” applications. 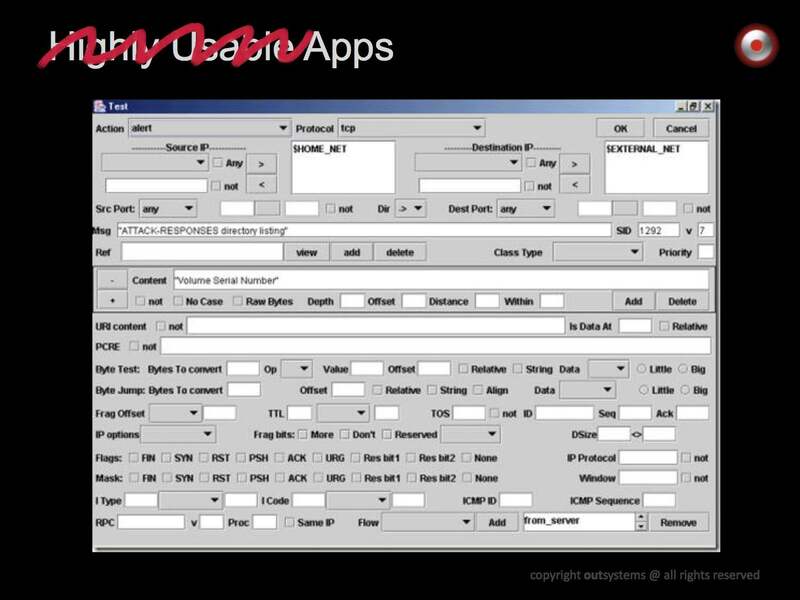 Naturally, such capability does not come automatically, even if the development platform itself is helping developers. 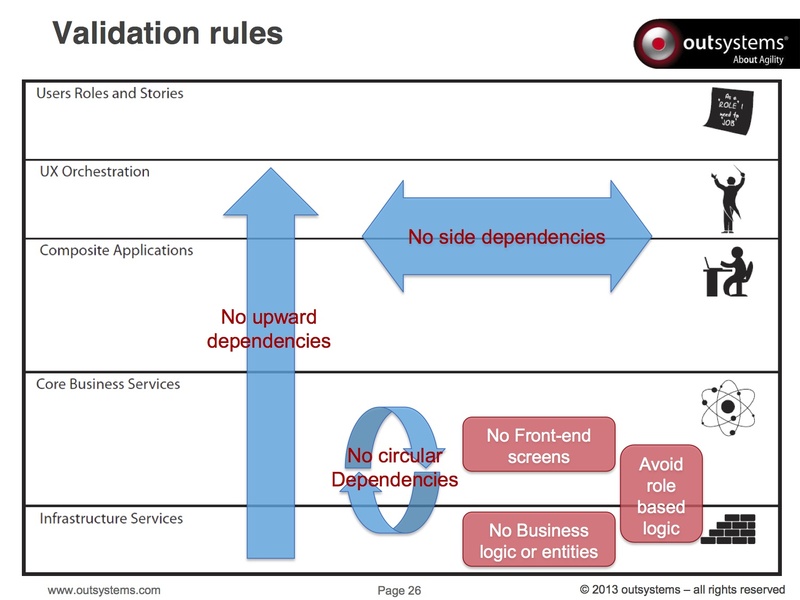 At the event OutSystems shared their best practices with respect to modularity and composition of applications. Given that productivity platforms enable even people without IT background to develope applications, I am glad that this subject receives attention from OutSystem. I hope that they would not stop there. Personally I would love to see the Data DSL become more expressive and Data modelling evolve to Domain modelling (but this is a subject of another post). If you attended the event too, what topics did you take away? What do you think of the platform? And how should the platform further evolve? Images are taken from the event’s presentations.